Watching the snow fall, hoping enough will accumulate so we can go cross-country skiing. Altered version (post-processed in Photoshop and Picnik). This week’s WordPress photo challenge is Hope. It snowed for most of the day, but the ground is too warm and wet. Most of it has melted already. As of this writing, in the late afternoon, the sun is shining and the sky is a gorgeous shade of blue with the occasional fluffy white cloud floating by. 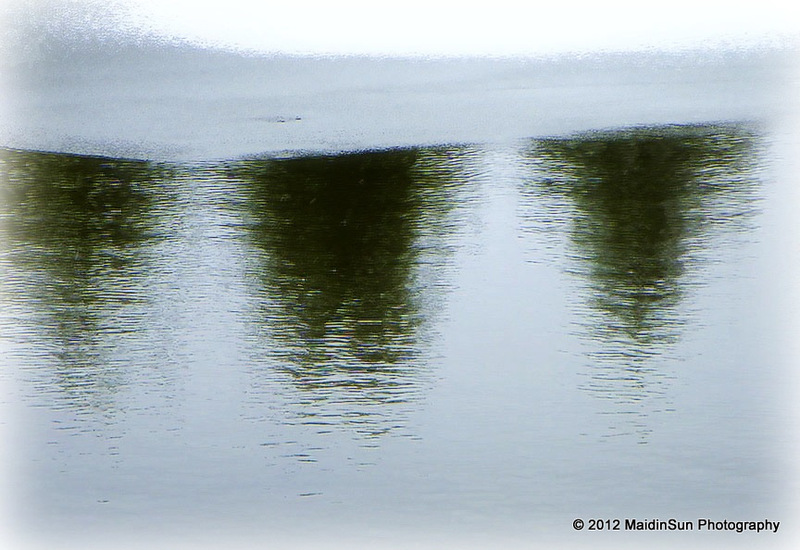 Three trees reflected between the ice sheets on the pond. The surface of the pond is beginning to freeze again, from the outside in. I stopped to admire the reflections in the water in between the ice while on my walk this morning. Warming up by the fire after a morning walk in the snow storm. That’s it from the Bogs on this snowy January day. It’s been a nice, quiet Saturday. Relaxing. It’s nice not to have anywhere to go or anything in particular to do. 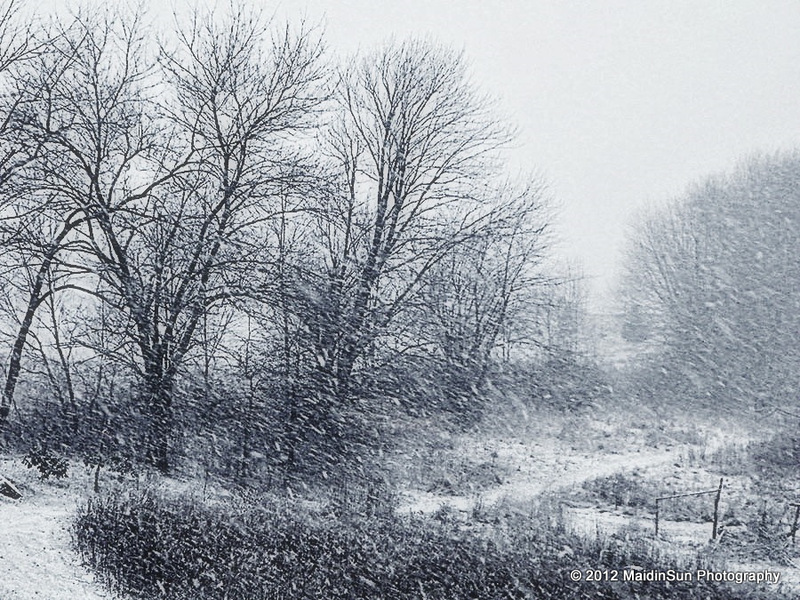 Let’s just have a seat by the fire, sip on a warm beverage, and be grateful we’re indoors. The temperature is dropping, the wind is gusting, and it will be pretty cold out there tonight. 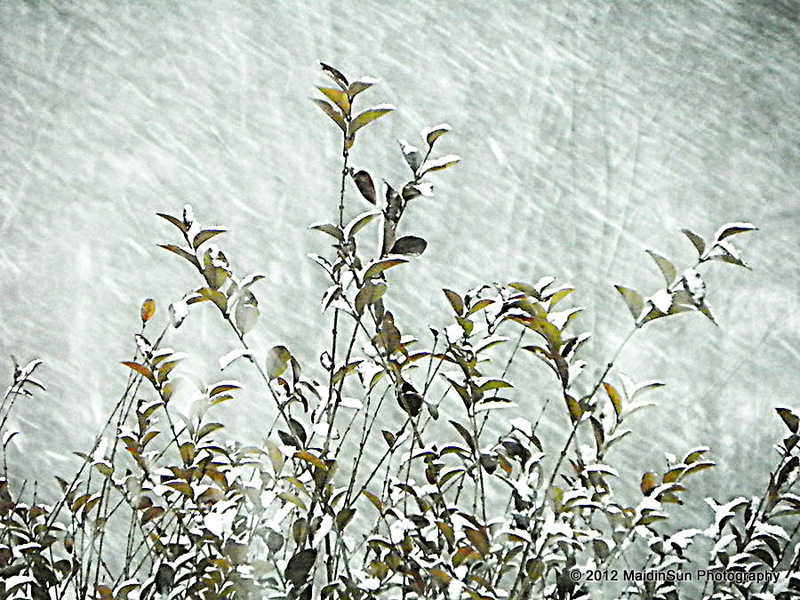 Lovely photos… I especially like the shrub with snow flurries around it. Enjoy that fire! Ah, the rowboat photo is incredibly beautiful – how do you capture these moments so well? Truly lovely. What a special Saturday for you….and wow!….you sure get lots of changes in weather there!…snow, warm, ice, warm, snow, bare ground….wow…is this typical? This is actually an atypical year for us, Kathy (PP). Normally we have a couple of feet of snow pack on the ground by now, and we’re out skiing or ice skating. We usually get about 100 inches or so of snow each winter. This year has been extremely mild in comparison to past winters. Hope you get to ski! Thanks, Marie. No luck. The snows came. The snows left. Everything melted fairly quickly. It will be in the 50s tomorrow. 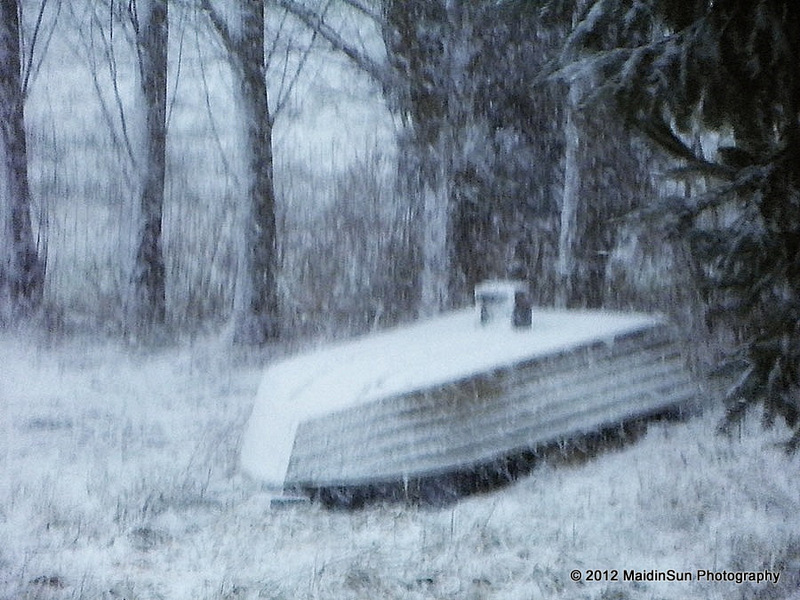 Where you see hope – overturned rowboat with snow on top – others might see despair. It’s a good reminder of how our thinking affects our reality! 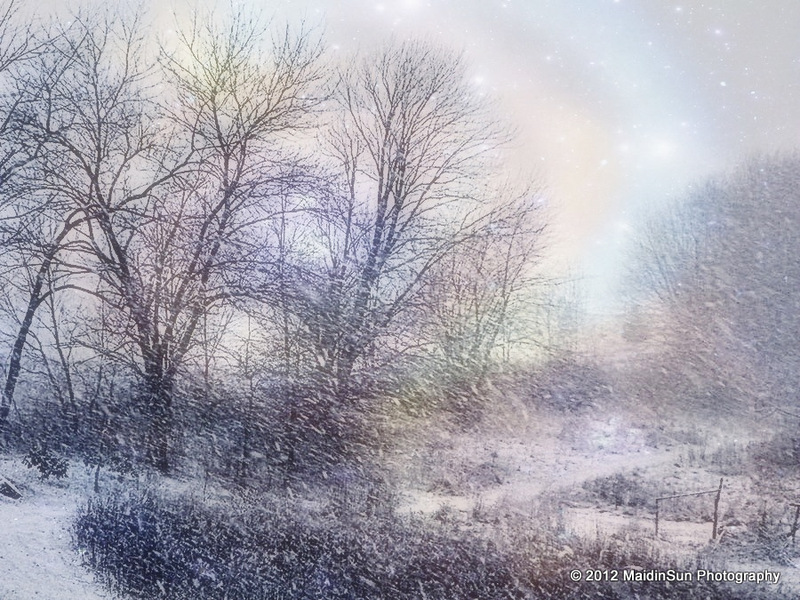 Your processed snow picture has a really neat “fantasy” feel to it. Keep warm! Quick note on the hawk: I posted the photos at the WhatBird forum in hopes of getting a good ID, but they are debating it. Most lean towards Northern Goshawk, but a few are holding out for a Cooper’s Hawk. Someone is passing it on to an Ohio birding listserv. Be interesting to find out what they think since it’s rare to see a Northern Goshawk in Ohio. Fabulous shots. I enlarged the first one – it’s just gorgeous! Well, I don’t know, Michaela. Now I’m torn. I just told Derrick we’d keep our cold weather here. lol! well-done, Robin. one really got a sense of the blowing snow and cold from your photos. 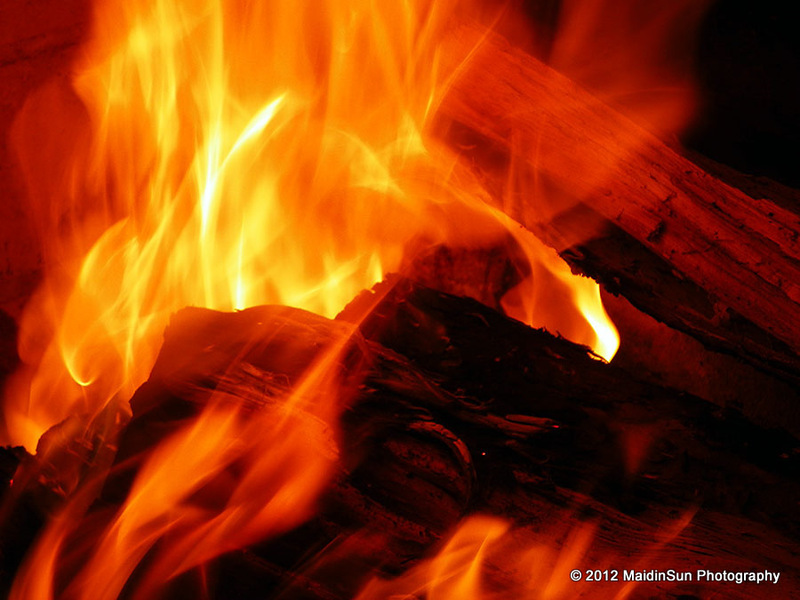 Another great collection – love the fire. Just what we need on days like today!!! Thank you, Sallyann. 🙂 Fire is so fascinating, isn’t it? I always end up taking too many photos of it because it’s always changing.